At GamesCom this month we learned that the Rise of the Tomb Raider on PC was to be unceremoniously halted. 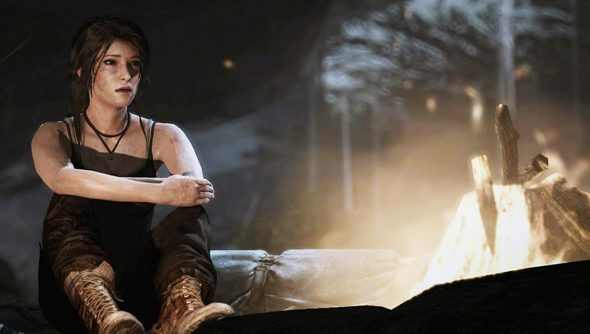 Metaphorically speaking, Lara has been left fuming on a knackered pneumatic lift, unable to take to the PC stage until after the game is released on Xbox next Christmas. Crystal Dynamics were left to handle community fallout, and Microsoft to clarify the terms of the deal. Square Enix had remained schtum, but after two weeks of fan clamour have now published an FAQ on the subject. Squeenix asked themselves a series of searching questions, through which we discover that they are “aware of the franchise history with PlayStation and on PC”. They know that when you think of ‘90s Lara, your mind fills in the trappings of either Sony’s grey console or a nice, big boxy PC with a CRT monitor. They did take the time to apologise for previous “indirect language” over the timed nature of the deal, however. Microsoft, for their part, think the Xbox deal will be good for Tomb Raider. Also for them, obvs.